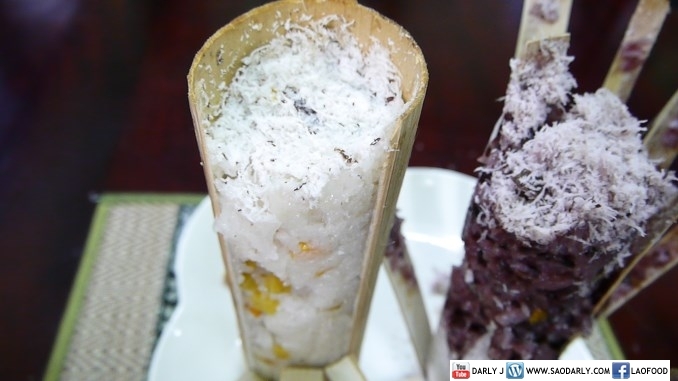 Khao Larm (Sticky Rice in Bamboo Tube) for breakfast in Vientiane, Laos. We bought these two tubes from a lady at Ban Wattay Yai. Her mother is quite famous in this part of town for making delicious Khao Larm for many years. I had a little chat with the lady who made and sell her own Khao Larm on the side road, next to Wattay Yai Temple. She told me of her mother who passed on the cooking traditions to her and her siblings. 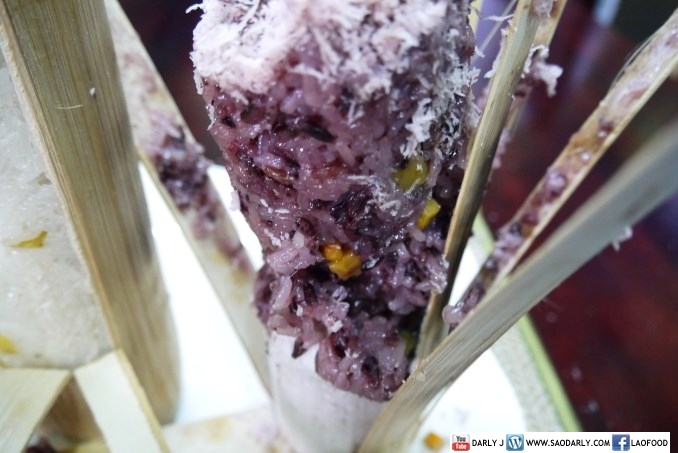 Before this year, there were four of them making the Khao Larm at Ban Wattay Yai and Ban Wattay Noi. 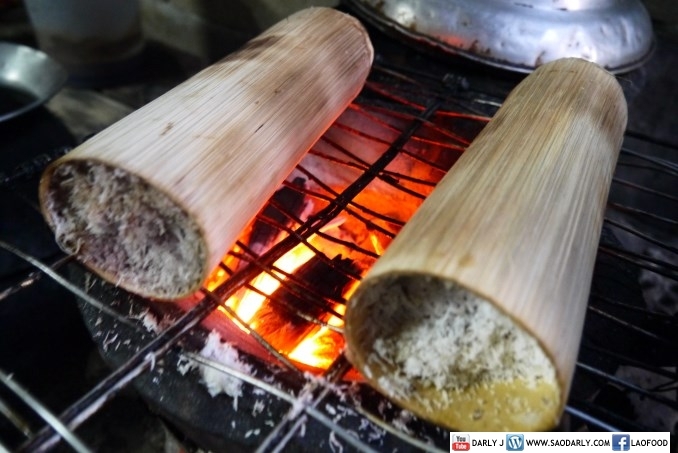 As of this year, two of them quit making Khao Larm and now the lady is not sure who will carry on this tradition after she and the other sister no longer make Khao Larm for a living.